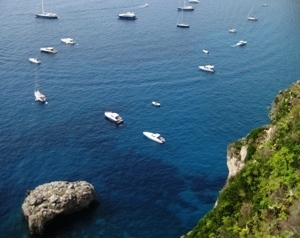 Capri civil wedding hall is facing the island’s most famous piazza. The charming town hall is a typical white Mediterranean building which perfectly contrasts the radiant blue sky. The simple yet elegant wedding salon holds 50 people seated or 100 people standing. Just outside the town hall wonderful restaurants and hotels are available for unforgettable wedding receptions.